But the number of runs wasn't the biggest number of the night for Rome. Senior pitcher Knox Kadum, who has turned in ace performances this season for the Wolves, hit a new high Monday evening by striking out 16 in 6 1/3 innings and setting the new Rome High single-game strikeout record. The win was also the first game of the season at Rome's home confines of Legion Field, which was flooded after February's constant rains. Kadum also had two RBIs in the win, while teammate Sevie Andrews finished with three hits and two RBIs to lead the Wolves at the plate. Grant Grodeman went 2-for-3 with a pair of RBIs as well. Rome (10-4, 8-2 7-5A) scored a pair of runs in each of the first three innings, giving it a 6-0 lead that it would not relinquish. The Wolves shut out the Hornets in Hiram last Friday and have now won eight games in a row, all of them region contests. Rome is on the road Saturday with a doubleheader against non-region opponent Sandy Creek before returning home next Tuesday to take on Creekview. Daulton Waddell went 3-for-4 with two RBIs and Rett Edwards struck out 11 in six innings as the Model Blue Devils defeated Armuchee 13-3 at home on Tuesday. With the Region 7-AA contest tied 2-2 after the first inning, Model clamped down on the visiting Indians and outscored them 8-1 over the next three to set up the win. Jake Ashley went 2-4 for the Blue Devils with two RBIs, while Brody Pearson was 2-for-2 at the plate with two walks and three runs. Model (11-3, 5-2 7-AA) will visit Cedartown today while Armuchee (4-11, 2-5) hosts Mt. Bethel on Thursday. 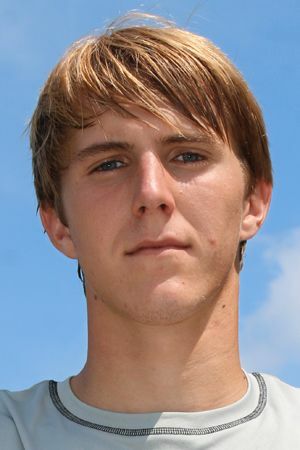 It was a sweep for the Coosa boys' tennis team Tuesday as the Eagles made the trek to Trenton and shut out Region 7-AA foe Dade County 5-0. Hunter Dodd recovered from a first-set loss to pick up the win at No. 1 singles for Coosa 3-6, 6-2, 6-2. Jordan Broom and Seth Bray then closed out the singles lines with wins of 6-0, 6-1 and 6-4, 7-5, respectively. Both Coosa doubles teams emerged pretty much unscathed as the No. 1 pair of Brady Jacobs and Bradley Johnson won 6-0, 6-1, while the No. 2 team of Keith Gunnells and Malachi Wilkins won 6-2, 6-2. Coosa will be back in action Thursday at the Rome Tennis Center at Berry College to take on Model. The Model Blue Devils made short work of fellow Region 7-AA opponent Chattooga on Tuesday, sweeping the visiting Indians 5-0 at the Rome Tennis Center at Berry College. Parker Stone kicked off Model's singles lines with a 6-1, 6-0 win in the No. 1 spot, while Teller Abdou and Eli Abdou each won 6-0, 6-0 at No. 2 and No. 3 singles. Micah Veillon and Braxton Sims won 6-2, 6-0 in the No. 1 doubles match, and Cole Locklear and Barton Sopata managed to pull out a 6-3, 7-6 victory at No. 2. Model (8-2, 4-1 7-AA) will be back on the courts today to take on Armuchee. A close match at No. 1 singles made the difference Tuesday for the Model girls' tennis team as they came away with a 3-2 win over Chattooga in a Region 7-AA contest. Model's Tatum Abdou escaped with a 7-6 win in the first set at No. 1 singles before closing out the victory with a 6-4 win in the second set. Evalyn Edwards won 6-4, 6-4 for Model at No. 2 singles, while the No. 2 doubles team of Brooke Roberts and Miya Blanton won 6-4, 6-2. For Chattooga, Chasity Evans won the No. 3 singles line 6-4, 6-2, and Chloe Rosser and Emily DeBerry took the No. 1 doubles match 6-4, 6-3. Model (7-4) will take on Armuchee on this afternoon. The Model boys' finished the opening round of the Floyd County Invitational with a team scored of 177 to finish atop the standings at the end of Tuesday's competition at Stonebridge Golf Club. The Blue Devils' Cody Boazman was the low medalist with a 36 in the nine-hole round, while teammate Douglas Tarter carded a 39. Coosa is second with a team score of 242 led by Brayden Cooper's 55, and Armuchee is next with a 243 as Cole Arasmith is the low score for the Indians with a 52. Pepperell's Michael Corntassel shot a 51 on Tuesday for the Dragons' low score. The final round will begin today at 4:15 p.m. at Stonebridge.